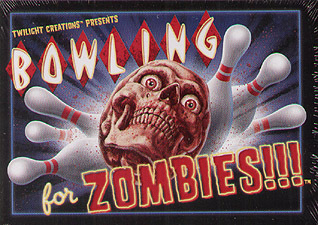 Once again it is time for the NBC - the National Bowling Competition - held annually in the DMZ (Domain of Many Zombies) to determine which Necromancer is to be crowned this year's 9-Pin Bowling Champion. Each player takes on the role of a powerful Necromancer in charge of a Horde of Zombies. Instead of the usual "who kills the most humans" competition, which over the years has become tedious, this year's event concentrates on getting the best bowling score.